National Philanthropy Day (NPD) is celebrated around the world as a day to recognize the work of charities and remember the extraordinary achievements that philanthropy - giving, volunteering and social engagement - has made in all aspects of life. On this day, which was first celebrated in 1986, volunteers, donors and champions of philanthropy are recognized for their philanthropic work. More than 100 NPD celebrations take place around the world. In 2012, Canada was the first country to officially recognize National Philanthropy Day. The Association of Fundraising Professionals (AFP), which is a primary sponsor of NPD, supported the bill in Parliament which permanently recognized November 15 as National Philanthropy Day. 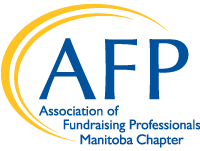 In Manitoba, the local AFP Chapter celebrates National Philanthropy Day with the Manitoba Philanthropy Awards (MPA) which recognize Manitobans and organizations who have a tremendous impact on our province. Click below to watch a video on National Philanthropy Day.